During our trip to San Francisco we went on one of the Alcatraz tours. We had booked it in advance and had wanted to do the Alcatraz night tour but those were sold out. The Alcatraz experience was awesome. We did the audio tour and would highly recommend it. The audio tour, available in many languages is about an hour and a half and is narrated by a former Alcatraz officer, Patrick Mahoney. You’ll hear from former Alcatraz inmates as well. You’ll depart from Pier 33, Alcatraz Landing and you should leave at least 2.5 hours to not only experience the tour but the boat ride and walking around Alcatraz Island. Be sure to wear comfortable shoes because there is a lot of walking which includes steep hills. There is SEAT (Sustainable Easy Access Transport), a tram service for those with accessibility needs. Be sure to check the schedule at the dock and when you get over to Alcatraz for exact departure times. This is only available for anyone with a health condition or physical disability which limits mobility. Family and friends who are physically able can meet you at a designated drop off spot. 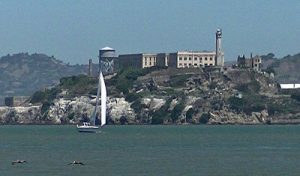 Alcatraz Island is located on the San Francisco Bay about 1.5 miles from shore. We took an Alcatraz tour boat over to the island. The views all the way around were amazing. We put together a video for you to share a bit of our experience. 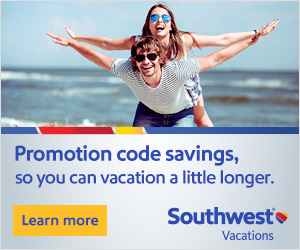 Be sure to reserve your tickets online well in advance of your San Francisco vacation. You can get your tickets at Alcatraz Cruises. It’s an authorized Concessioner of the National Park Service, Department of Interior. The least crowded is the early bird tour, the first trip of the day that departs at 8:45 AM. Then you have the day tour, both a morning and evening option. Then you have the night tour which sells out incredibly fast. They say it’s the best tour, sunset and all. Then you have a tour option to do both Alcatraz & Angel Island. Just do your research to see what would fit best. And if you make it off of Alcatraz Island, grab a pedicab to your next destination!